Not sure About IMTA? Ask Us Questions! We understand you are excited and probably have many questions! We compiled a list of our most frequently asked questions to help get you answers faster. Feel free to click on any question below to show the answer! IMTA produces two five-day conventions ‒ one in New York and one in Los Angeles ‒ which consist of modeling, acting, singing, dancing and songwriting competitions, educational workshops and seminars, awards events, and callback/interview opportunities with hundreds of fashion and talent agents, personal managers, casting directors, network representatives and music producers, who judge the IMTA competitions and conduct the seminars, all the while searching for new models and talent to work in the fashion and entertainment industries. How long has IMTA been in existence? IMTA was formed in 1987 as a response to the growing call from training centers outside the major modeling and talent hubs of New York and Los Angeles for a means to promote their aspiring models and actors to agents beyond a local level. IMTA was also designed to meet the needs of industry professionals always looking for new faces. From its beginning, IMTA has been the most recognized and respected opportunity for fashion and talent agents, personal managers, casting directors, network representatives and music producers to find the next supermodel or rising star. People interested in the modeling or talent industry can only come to IMTA with one of our member training centers. Our members hold searches to find models, actors, singers, dancers and songwriters who are ready to take the next step in their pursuit of a career as a model or performer. Anyone may attend a search, but not everyone will be invited to attend IMTA. Members may recommend classes or training so they can assess an aspiring model or talent’s commitment and potential. Many people audition more than once before an IMTA member invites them to attend an IMTA convention. Most members training centers can be located through links on the IMTA website, www.imta.com. Visitors to the site can also submit their own contact information and IMTA will forward that information to a member nearest to them. What ages attend an IMTA convention? To compete at IMTA, the minimum age is four years old for models, actors, singers and dancers. There is no upper age limit for talent and commercial models. However, models seeking a career as a high fashion runway model must fall at or under the upper age competition limit of 23 for females and 28 for men . Why are there age and height limits for contestants who want to compete as models? In the high fashion modeling industry, when designers make clothes for the runway, they make a sample size to fit one body type. Models must fit into that one sample. Plus, samples tend to be made for taller models since long, lean bodies move and look better on the runway. Beginning female fashion models can range in age from 12 up to 23, males 13-28. Modeling agents tend to scout models around the age of 14 when they can start grooming and preparing a model for his or her career. After age 23 for females or 28 for males, it is much more difficult to begin a career as a high fashion model because of the time it takes to develop and promote a new model. For commercial and fitness models, height and age are less of an issue. Models, actors, singers, dancers and songwriters compete in various competitions over several days. The invited agents, managers, casting directors and other industry professionals watch and judge the competitions, all the while evaluating the skills and potential of contestants. During the competitions, seminars and the IMTA Overview—an event where every contestant walks the runway in front of all agents and industry professionals—the agents and scouts are keeping track of those contestants in whom they are interested by noting the contestants’ numbers on “callback sheets.” On Callback Day, contestants meet with those agents, managers and casting directors who have requested to see them. Callbacks are an opportunity for the agents and the aspiring model or talent to get to know each other and discuss possible representation, a major step in beginning a career in the fashion or entertainment industries. What are the competitions at IMTA? There is a wide variety of competition opportunities for the models, actors, singers, dancers and songwriters at IMTA to demonstrate their skills and potential. Contestants are divided into competition divisions based on age and gender. Models may walk the runway in casual wear in Jeans, in swimwear or beach wear for the Swimwear competition and in high fashion for Runway. During Fashion Print, a contestant’s best fashion photographs are shown on large screens for judging. Additional skills are highlighted during TV Beauty, in which contestants are recorded performing commercials for beauty or grooming products. Female models also compete in a photographic Makeup competition. Actors perform a Monologue and perform a commercial in the TV Real People competition. Older actors read before a “casting director” during the Cold Read competition while youngsters perform a “show and tell” about their favorite toy in Kids Spot. The On-Camera Host competition allows actors to be themselves on camera while reading from a teleprompter in front of a panel of judges. Actors also participate in the Theatrical Headshots/Screen Test competitions where their theatrical headshot photographs are judged, after the actor recites a one-liner that is both live and on-camera. Actors may also compete in the Voice Over competition in which they read two short scripts while concealed so that judging is solely on voice and vocal performance. Other competitions available are Improvisation — where actors perform a short monologue based on a provided scenario — and Commercial Print, which follows the same format as Fashion Print and Theatrical Headshots where a contestant’s best commercial print photos are displayed and judged. Finalists perform in the Talent Showcase. In the songwriting competition at IMTA where aspiring songwriters perform their original works before a panel of judges from the music recording and publishing industry. Finalists perform in the Talent Showcase. One additional competition that is highly anticipated at each convention is the Team competition. Contestants from each training center have the opportunity to perform as a group in Team Fashion, which is a presentation incorporating wardrobe and a runway routine. Can a contestant do both modeling and acting? Yes. Many IMTA alumni — Ashton Kutcher, Eva Longoria, Josh Duhamel and Adrianne Palicki — to name a very few, competed as both models and actors. Competing in modeling and talent competitions increases a contestant’s exposure to more agents and scouts, potentially resulting in more callbacks and opportunities. Contestants looking to do high fashion modeling must still meet height and age requirements, but many contestants do both modeling and acting. Actors who do not fit into the height and age requirements for high fashion models can still compete as a commercial model. What scouts or agents come to IMTA? The agents, personal managers and casting directors invited to attend IMTA are among the who’s who in the modeling and talent industries around the world. Representatives come from all of the major U.S. markets as well as from France, Italy, Japan, Australia, Canada, Germany, Slovakia, Finland, China and Brazil. Does every contestant get a callback with an agent, manager or casting director? Unfortunately, the answer is no, not everyone attending IMTA will receive a callback. Why? The answer is not simple. It may be that a contestant did not perform well because of nervousness, lack of preparation, or that at that particular time there were no agents scouting for a contestant’s unique look or skills. Not receiving a callback does not mean a contestant should give up their dream of becoming a model or an actor. It may signify a need to refocus on training and preparation. Indeed, some contestants have attended IMTA more than once—such as Katie Holmes—before starting a career. Does IMTA guarantee a contestant will get signed with an agent or manager, get a job or become a supermodel or star? No. IMTA’s function is to provide the opportunity for aspiring models and talent to showcase their talent and potential in front of the best agents and scouts for the modeling and talent industries, and in a professional and safe environment. Who gets a callback and is signed for representation is totally up to the agents, managers and casting directors. No one can guarantee jobs or success for models or talent. In short, attending IMTA does not guarantee success; it does provide an amazing opportunity to be successful. IMTA has been described as an “Educational Experience.” What training is available at IMTA? During an IMTA convention, a wide variety of workshops and seminars are offered for attendees during which they receive supplemental hands-on coaching, performance and competition tips, insider industry knowledge, and frank talk about the realities of becoming a professional model or performer. These workshops and seminars are conducted by experienced, knowledgeable industry professionals with a vested interest in ensuring IMTA contestants are prepared to take the next step toward beginning a career as an actor or model. In addition to the training opportunities at IMTA for contestants, there are also seminars offered specifically for parents. These seminars allow parents to ask questions about the business end of modeling and acting, help them learn their role in their child’s career, and provide tips on balancing a child’s dreams with business realities. What else can a person learn by attending an IMTA convention? Foremost, a person can learn whether or not he or she really wants to pursue a career as a model or performer. By the time they get to IMTA, a model or actor has already learned that becoming a professional is not easy; they have learned that they must have runway and modeling coaching sessions, on- and off-camera acting classes, image consulting sessions, photo shoots and more just to get ready to compete in a major market. They have learned they must make a commitment and follow through if they are to succeed. The number one comment we hear from people who have attended IMTA is that they learned so much about themselves, that they grew stronger as a person because of the experience. They also say they learned self-confidence, learned life skills and made long-lasting friendships because of IMTA. What does it cost to attend IMTA? 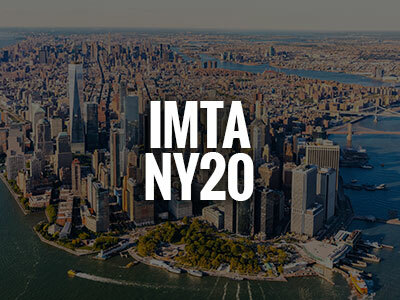 IMTA member training centers put together a package of services and training for contestants and parents wishing to attend IMTA in either New York or Los Angeles. Each center’s package will vary based on what is included in the package, but typical packages usually include pre-convention training and preparation, headshots, hotel, and convention registration fees. Some packages may include transportation or offer the option of securing your own transportation where you might take advantage of frequent flyer miles. Questions regarding costs and what is included in the package should be directed to your nearest IMTA member. One way many people finance attending IMTA is through sponsorships or fundraising. Sponsors may be family, friends or local businesses who provide financial or other support. Some sponsorships may be tax deductible. Fundraisers might include car washes or bake sales. Information and suggestions on seeking financial assistance through sponsorships or fundraisers is available from your IMTA member. Given today’s economy, how do you justify attending an IMTA convention? It is hard to put a value on what are really an investment in the future and an investment in oneself, because the value of the IMTA experience will be different for each person. As mentioned above, many, many attendees have said they grew as a person because of attending IMTA—that is also a comment we hear from many parents about their child’s experience—and how do you put a value on that? What is incredibly valuable about attending IMTA is the establishment of professional relationships for aspiring models and talent. For most young people trying to break into the business, they go the route of seeking representation by mailing or dropping off a photo/resume or comp card to an agency, hoping that they will somehow stand out from the hundreds of similar submissions on the same day. If they do not already know someone in New York or Los Angeles, the chances of a face-to-face meeting with an agent—or being able to show that agent who you are and what you can do—are slim. Hopeful models and talent may spend many months, much energy and a lot of their financial resources just trying to get a foot in the door. What IMTA provides is that opportunity to meet—and be seen by—not just one agent, but several hundred agents, managers and casting directors at one time. It is the opportunity to show that you have the skills and training to be on the runway or in front of a camera, that you have already made a commitment to becoming a professional, and that you have what it takes to succeed. I’ve heard IMTA is a scam. How do I know it is legit? We do our best, but it is unfortunate that not everyone has a great experience at IMTA. We’re not sure why this happens and the owners and organizers of IMTA do everything possible to make every attendee’s IMTA experience a positive one. When someone labels IMTA a rip-off or scam, we rarely know the reason why. It may be because they misunderstood IMTA’s purpose and goal, which is to provide aspiring models and talent the opportunity to showcase their skills in front of agents and scouts…which IMTA does and always has delivered. It may be because they did not get the callbacks or agent interest they thought they should have received. It may be because they attended a search by a member training center, but upon learning that there are costs associated with the preparation, training and attending IMTA, chose to see that as a ripoff rather than an investment. Remember that it is the IMTA member that sets the package price and each training center or agency’s package will vary based on what is included in the package. IMTA’s registration fees are fixed and typically constitute a small portion of a training center’s package. Questions regarding costs and what is included in the package should be directed to your nearest IMTA member. For those who continue to wonder if IMTA is real, or if it is a rip-off or a scam, we can only encourage them to look at the success stories of the models and talent who began their careers at IMTA. We encourage them to look at the list of previous attendees below and to watch our alumni success video to understand how legitimate IMTA is and how many opportunities are at every IMTA Convention. Besides signing with an agent or manager, how else does attending IMTA benefit someone? There are some amazing and true stories about the impact IMTA has had on lives. Young models still in high school have suddenly found themselves working with a famous photographer on the other side of the world. Others have appeared to literally walk off the runway at IMTA straight to a major designer’s show in New York or Milan. Actors from small towns in Middle America have been called to audition for a movie with a famous director. Some have been cast in a TV show or national commercial on their very first audition. Yes, signing with an agent or manager and getting a high profile modeling job or acting role is the dream and end goal of most people attending IMTA. But IMTA can also impact a young person in ways that are much more subtle and long-lasting, ways that have already been mentioned: increased confidence, greater self-esteem, and becoming a stronger person. Who are previous attendees who have begun their careers through IMTA? There are many, many working actors and models that started their careers through IMTA—and the list is constantly growing. We believe it is true that it is almost impossible to open a magazine, turn on the television, or watch a motion picture without seeing a face first seen at IMTA. Actors you may recognize who got their start at IMTA include Logan Browning, Elias Harger, Garrett Hedlund, Brianna Hildebrand, Sibylla Deen, Anna Diop, Ashley Greene, Josh Duhamel, Jessica Biel, Katie Holmes, Ashton Kutcher, Seann William Scott, Adrianne Palicki, Eva Longoria, Lyndsy Fonseca, Jeremy Sumpter, Elijah Wood, Jerry Ferrera, Haley Bennett, Alyson Stoner, Zach Roerig, Brandon Routh, Riley Smith, Miles Heizer, Raini Rodriguez, Brooke Burns, Jill Wagner, Moises Arias, Sean Faris…and the list can go on and on. Models who were signed at IMTA for runway and print include Sara Cummings, Madison Paige, Briana Ruiz, Tess Tarasen, Tyson Ballou, Jessica White, Sean Harju, Katrina Hunter, Christian Houge, Meandra, Mariah Strongin and Kim Lemanton…to name just a very few. Recent attendees Bryan Harris, Taylor Green, Dillon Westbrock, Olivia Jansing, Faith Lynch, Michael Dittrich and Jake Filling are among those models that went from IMTA to Fashion Week runways and major ad campaigns across the globe. Still Have Questions About IMTA? Ask Us!